Donald Trump has to give up the Tim Tebow memorabilia he bought for charity. Tim Tebow didn't last long in the NFL but when he made his run with the Denver Broncos in 2012, Tebowmania swept the nation. The young quarterback even caught the eye of President Donald Trump, who purchased a signed Tebow helmet and jersey for $12,000 at a charity auction. Now the President is being asked to give back the memorabilia since the Donald J. Trump Foundation is shutting down, according to Deadspin. The lawsuit against Trump is ongoing, but as part of the settlement, he has to distribute all of his assets to real charities. This means that he has to give up his Tebow gear. 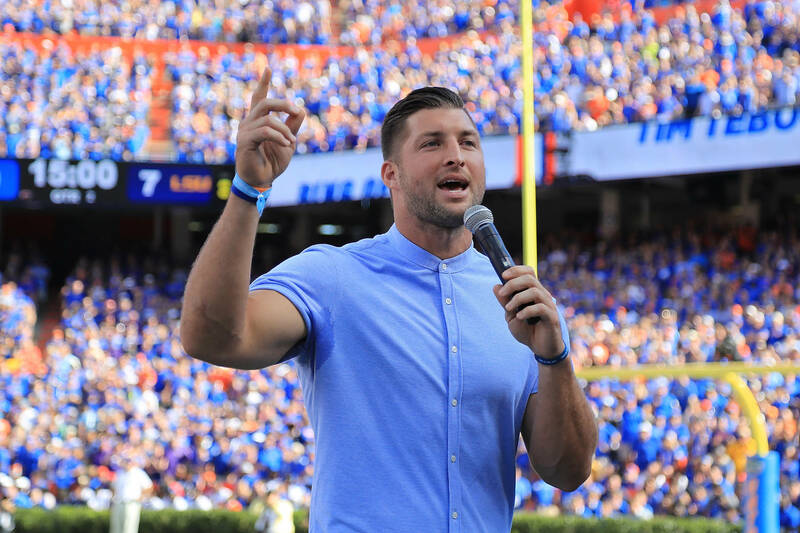 At the time of purchasing the gear, Tebow was at the height of his popularity but now that Tebow is far removed from the game, the items are worth $875 according to tax filings.